The Gum department store on the Red Square, Moscow. I took many pics around the Red Square during my cold, very cooold photo session on the Red square. When my fingers were frozen and it was hard to press the remote control of the camera I headed into Gum to enjoy a nice brownie with a latte. I really like this building. All the light bulbs give it some fairy tale look. 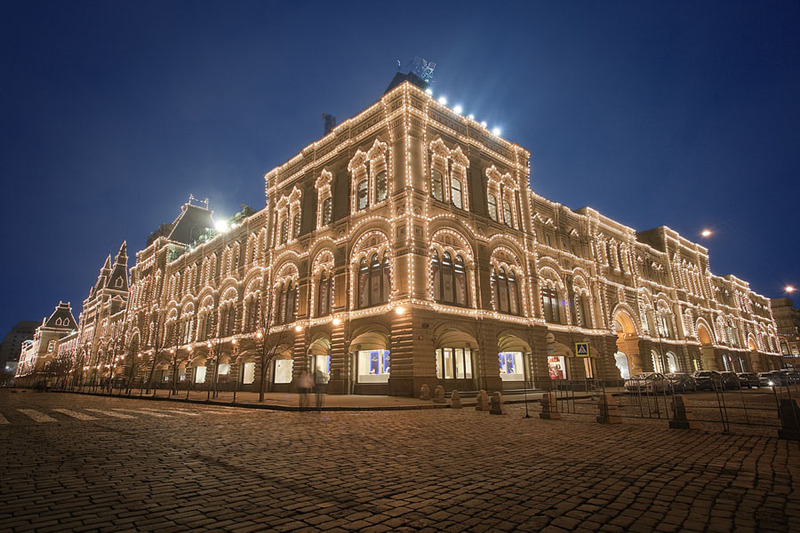 Built in the 1850s, it now hosts luxury shops for the richest Moscow inhabitants.